Home » Mining » Bitcoin Mining: Is it profitable? Bitcoin Mining: Is it profitable? Bitcoin mining is a process for verification of transactions or payments from one user to another on a decentralized network. 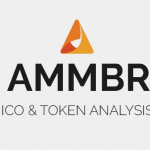 During the process, data of the Bitcoin transaction is added to the public ledger. The public ledger is also called the blockchain. The blockchain is used by nodes to separate valid Bitcoin transactions from those transactions that are essentially trying to spend coins that have been already spent on different transaction. Bitcoin Mining is also a channel for introduction of new coins. For their efforts, miners are charging fees and they receive block rewards. Block reward consists of transaction fee and subsidy of newly created coins. This method secures circulation of new coins and incentive for miners. So to start mining you will need an access to the internet and convenient hardware. The goal is to compile recent transactions into blocks and try to solve complex calculating operations. After the miner solves the math problem, he adds the data to the public ledger or blockchain and receives the block reward. There are initial setup expenses to be considered. In order to compete with other miners, some of them have already set up huge arrays to mine; you are going to need serious equipment, including very expensive graphic cards. Additionally, mining a single coin will use a lot of power, hence high electricity bills. Block rewards and difficulty. At the moment, the block reward is halved every 210,000 blocks or approximately every four years. Initial block reward, in 2009, was 50 Bitcoins. Today it is 12,5 Bitcoins. 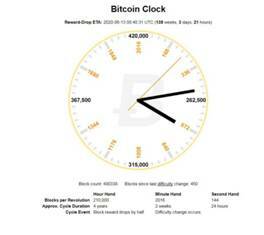 If you want to keep track of precisely when these halving will occur, you can consult the Bitcoin Clock, which updates this information in real time. Bitcoin network has a difficulty measure. It is a measure of how difficult it is to find a hash below a given target. A hash is data that was derived through a complex math calculation. Difficulty is changing every 2016 blocks, which means that Bitcoin mining is getting harder and harder. So, as the block reward decreases and mining difficulty increases, one can only hope that the price of Bitcoin will be high enough to make up for the reward decrease and mining difficulty. So if you manage to mine a coin and claim the block reward, there is a risk that the price of Bitcoin will decrease and so will your reward. Processing Power. Your equipment’s processing power is called a hash rate or speed to solve complex calculations. The higher the speed, the more solutions a miner has a chance to find and accordingly earn more rewards. But higher speed usually means higher operational costs. If you own high powered equipment you will be able to make some profit from mining. Otherwise, with solid equipment you will be spending more electricity than earning rewards. So before you start mining, calculate your operational expenses like electricity and cost of equipment. Risk exposures. Your mining process will be exposed to risk of increase in difficulty, price crashes, burned out equipment parts, electricity cuts, etc. 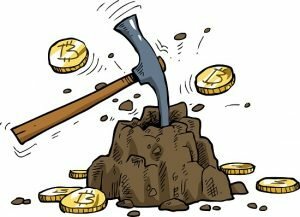 There is possibility of sudden rise of mining difficulty as the hash rate unexpectedly increases due to the entrance of the big new mining pool. Increased difficulty means that you will need more time and more electricity to mine, hence your expenses will grow. The high volatility of the Bitcoin price can also affect your profits. If the price crashes you potential income goes down as well. Your equipment won’t last forever. From time to time you will have to replace your burned out parts. Additionally, there is always new and better hardware coming out for mining. When ordering such equipment, be aware of the shipping costs. Many other things can go wrong in the mining process such as electricity cuts and network disconnections. Due to the fact that it is getting harder and harder each day to provide enough hash rate personally to mine a coin and make profit, the mining pools were developed. Mining pool accepts miners from all over the world and pool their hash rate together which gives them higher hash rate for mining. When a block of bitcoins is mined, the coins are split among the members of that pool — minus a small fee which goes to the pool service. There are several web-based profitability calculators that miners can use to predict the cost benefit equation of bitcoin mining. Profitability calculators differ slightly and some are more complex than others. One of the most popular calculators can be found at CryptoCompare web site. 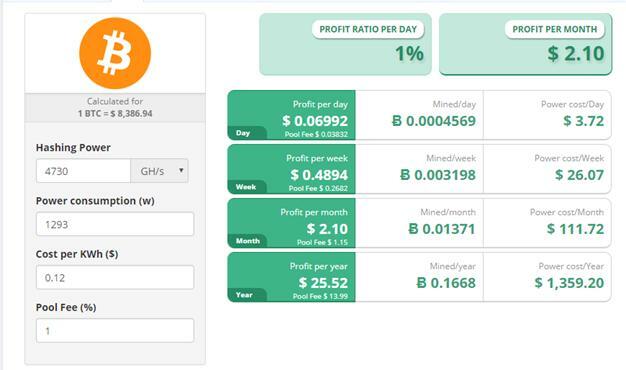 CryptoCompare calculator takes into calculation the following (as stated on their web site): mining metrics are calculated based on a network hash rate of 18,633,837,452 GH/s and using a BTC – USD exchange rate of 1 BTC = $ 8,386.94. These figures vary based on the total network hash rate and on the BTC to USD conversion rate. Block reward is fixed at 12.5 BTC and future block reward reductions are not taken into account. The average block time used in the calculation is 600 seconds. The electricity price used in generating these metrics is $ 0.12 per kWh. Network hash rate varies over time, this is just an estimation based on current values. After the introduction of the Bitcoin, mining was considered a gold rush. But these days, mining has become a large scale industry. Easy money is gone. Mostly for the average home miners, who will have hard time to profit after the initial cost of mining and subsequent cost of electricity. Things may turn around after the mining hardware becomes widely available and loses its price value. Combined with access to cheap electricity and rise in the Bitcoin price, Bitcoin mining could be again profitable for individual miners. 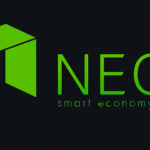 How to Claim NEO GAS on Ledger Nano S?